President Trump suggested on Friday that his former lawyer Michael Cohen "is trying to make up stories ... to get himself out of an unrelated jam" regarding taxi cabs. Why it matters: Cohen's legal troubles are no secret — Trump mentioned them when he distanced himself in April, saying federal investigators were "looking at his businesses ... and I've been told I'm not involved." 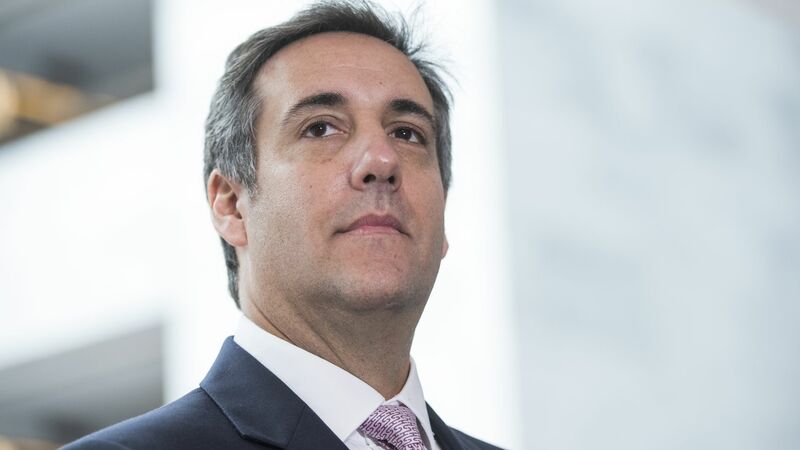 A significant portion of Cohen's business records, including ownership and management of taxi companies, is "under the microscope of federal prosecutors," the New York Times reports. Cohen has "often operated in the backwaters of the financial and legal worlds," the Times reports. He has avoided criminal charges, but some of his associates haven't. He was introduced to the taxi business through his wife's family. Cohen partnered with a Ukrainian businessman, Symon Garber, who was working to finance taxi businesses in the U.S. and Russia. He built up millions of dollars in debt by borrowing from banks and credit unions to purchase taxi medallions, reports the Times, which allow people to own and operate their own taxis. In the late 1990s and early 2000s, Cohen and Garber were overseeing 260 cabs, and making millions. In 2006, Cohen put management of the cabs into Gerber's hands, and was bringing in around $1 million annually. They later had a falling out, after which Cohen went into business with a Russian immigrant, Evgeny Freidman, who had his own taxi business. A year later in 2007, Cohen joined the Trump Organization. Cohen's taxi partnerships faced a number of legal issues, and both Freidman and Garber were forced to "pay more than $1 million for overcharging their drivers." They've also been accused of "forging signatures, stiffing lawyers and dodging debt collection efforts." Since the rise of ride-sharing services, Cohen's businesses have fallen behind on their taxes, owing more than $375,000. And even still, with a federal investigation ongoing, Cohen has continued to engage in "financial maneuvering," the Times reports, borrowing and lending millions.